Ale tasting. The Court Leet of the Manor of Wareham in Dorset, is one of the few surviving Court Leets. And is the remains of a once powerful feudal court system. Mr Eddie Anderson, Ale Taster. Mr Herbie Elmes, the Bailiff of Court Leet, (who is drinking from a pewter mug dated from the Great Fire of Wareham 1762.) 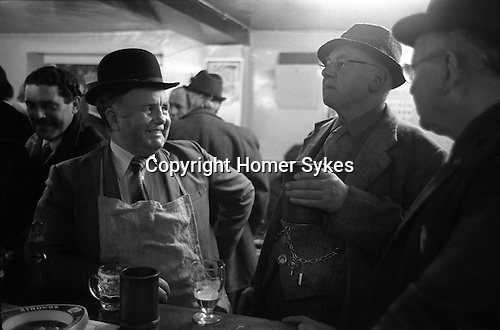 Mr Cecil Mears, Ale Taster. Info thanks to Suzanne Elmes.